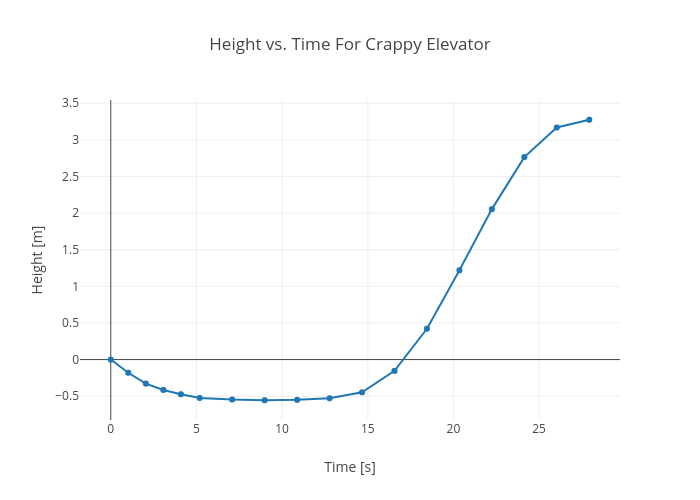 Rhettallain's interactive graph and data of "Height vs. Time For Crappy Elevator" is a line chart, showing Height [m]; with Time [s] in the x-axis and Height [m] in the y-axis.. The x-axis shows values from -1.7133175166944907 to 29.63922751669449. The y-axis shows values from -0.8183419040422931 to 3.537967061042293.